Harrang Long Gary Rudnick P.C. (HLGR), a regional law firm with offices in Portland, Eugene, and Salem, is pleased to announce that John T. Witherspoon has been named shareholder. 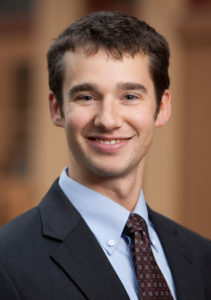 Witherspoon was previously an associate with HLGR. Before that, he was an associate with Lukins & Annis, P.S., in Spokane, WA. In his seven years in practice in Oregon and Washington, he has served clients in a variety of industries demonstrating a great depth of business and legal acumen. As a member of HLGR’s closely-held business team, he focuses on the practicalities of adding value to the client’s bottom line. You may contact John by calling 503.242.0000 or emailing him at [email protected].